While the main focus of your food packaging is to help you serve everything from cold salads to hot meals to your customers, there’s more than practicality to consider. When you’re choosing wholesale packaging supplies for food product, you need something that’s cost-effective, reliable, attractive and of course, environmentally friendly. At PureCo China, we know how valuable your wholesale packaging supplies can be. After all food packages need to sell your product and your brand to your potential customers. This means that you can’t afford to invest in anything less than the best. So, how do you choose the right supplies for your food? Your food packaging supplies are a fantastic way for you to demonstrate the nature of your brand to your customer. For instance, your renewable and biodegradable coffee cups can show your client that you’re a socially-conscious company. At the same time, you can use fun printing techniques and designs to show off your unique personality. Ask yourself what kind of image you want to show your audience. Are you more likely to benefit from huge profits if you come across as a green and environmentally-conscious brand? Or would you boost your revenues with bright colours and trendy visuals that attract a younger audience? While it’s important to make sure that your wholesale packing supplies make the right aesthetic impression, you also need to ensure that they’re going to go the distance in terms of practicality too. For instance, no-one wants a salad box that falls apart before they have chance to get their lunch back to the office. At the same time, your customers want to know that they can carry your coffee cups around without worrying about burning their hands. No matter what kind of foods you sell – from popcorn to hot food – make sure that the packaging you choose is practical enough to give your customer a good all-around experience. At PureCo, we offer products to suit a range of budgets, but we never compromise on quality. How can I construct the packaging? Will a rigid or flexible container be better for your product? Do I need to include any information on the packaging? Beside your design, do you need to include specific information, like printing the size of the container on the side of the packaging, or adding your logo? The great thing about investing in wholesale food packaging solutions is that you can generally save some money. Of course, the key to success with any business strategy is finding the right balance between minimising costs, and keeping quality high. The best way to make sure that you’re going to give your customers the best food experience (without compromise) is to work with a packaging manufacturer you can trust. Here at PureCo China, we can help you to get the most out of all your packaging strategies. 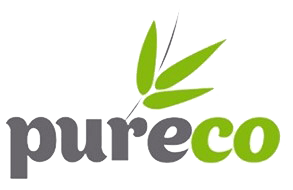 Whether you’re looking for hot food containers, ice-cream tubs, or something else entirely, reach out to PureCo today to start your packaging journey. This entry was posted in Packaging and tagged better packaging design, custom packaging, custom packaging company, fast food packaging ideas, fast food packaging materials, theatre experience, wholesale packaging.